Minutes before going into labour herself, Dr Hess helped deliver another baby. 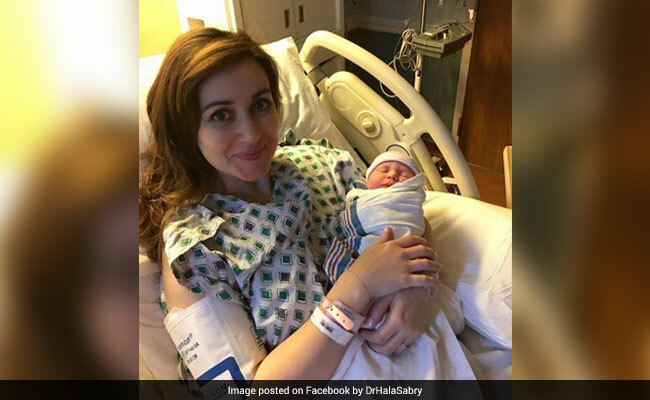 A Kentucky-based doctor, in hospital to give birth, paused her own delivery to help a patient in labour after realising the baby was in distress. Dr Amanda Hess has earned the Internet's respect for her selfless deed. Dr Hess was in her own room on July 23 when she heard a woman wailing in pain. The woman was Leah Halliday-Johnson, who was in labour with her umbilical cord wrapped around her baby's neck. Although her doctor was on the way, Dr Hess, an OB/GYN herself, knew that the baby needed immediate attention. And so, she jumped into action. "I just put on another gown to cover up my backside and put on some boots over my shoes, to keep from getting any fluid and all that stuff on me, and went down to her room," Dr Hess says.